Is there any person who doesn’t love to eat chocolates? The answer is definitely no!! We have a common belief that chocolates are not good for health, but just imagine to get chocolates as a prescription by the doctor? Is that not a WOW situation!!! Yes, this time you visit your doctor, be ready to see a chocolate in the prescription!! A new study was conducted and researchers have found that daily chocolate intake is linked to lowered risk of heart diseases and diabetes. Regular, moderate amount of chocolate consumption proves guaranteed health benefits, provided it is dark chocolate!! Dark chocolates have the highest cocoa content in it, which means it is the storehouse of Flavinoids, an important Antioxidant, molecules which prevent cell damage! The study further proceeded to understand the effect of chocolates on insulin resistance, liver enzymes, heart diseases. 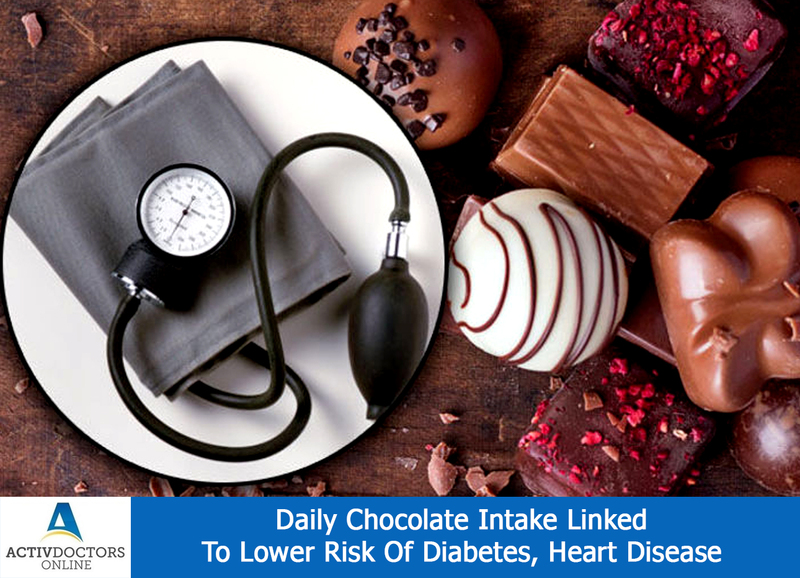 The results were as follows – test group who consumed chocolates on regular basis were found to have reduced insulin resistance and better liver enzyme levels. The effect was stronger with increased chocolate intake! Thus regular intake of a limited quantity of dark chocolates was found to be beneficial and hence recommended in everyday diet. Along with this, it is important to maintain a healthy lifestyle by regular physical activities for further maintenance!! !